Sund Dried Gammarus is a nutritious supplement to other dried fish foods. These complete shrimp, including the shell, are an excellent source of protein as well as roughage for all tropical and marine fish. SD Gammarus is specially processed and tested to help minimize the presence of unwanted toxins and undesirable organisms that may be found in live shrimp. 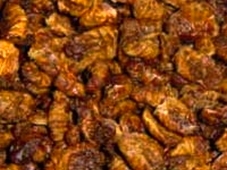 Roast Dried Silkworm Pupae - treat your Koi and pond fish to a real delicacy. 100% dried silkworm pupae. Naturally, high in protein, calcium, and additional nutrients that promote vibrant luster and growth. 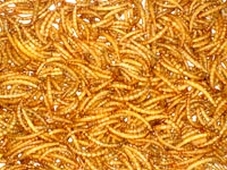 The dried mealworm (Tenebrio molitor) contains proteins, high-grade edible oil and chitin, and kinds of amino acids. It is best feed for for tropical fish, semi-aquatic amphibians, reptiles, birds, hedgehogs, lizards, iguanas and turtles. 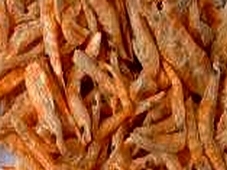 Sund Dried Red Shrimp is a nutritious supplement to other dried fish foods. These shrimp, including the shell, are an excellent source of protein as well as roughage for all tropical and marine fish. SD Red Shrimp is specially processed and tested to help minimize the presence of unwanted toxins and undesirable organisms that may be found in live shrimp. 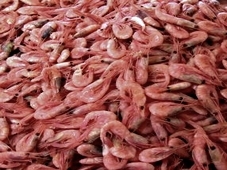 Sund Dried Freswater Shrimp is a nutritious supplement to other dried fish foods. These shrimp, including the shell, are an excellent source of protein as well as roughage for all tropical and marine fish. SD Freshwater Shrimp is specially processed and tested to help minimize the presence of unwanted toxins and undesirable organisms that may be found in live shrimp. Nature aquatic spiece harvested from non-pulluted lake and processed specially and dried natural by wind beyond direct sun light. Excellent nature foods for aquarium fish and birds. 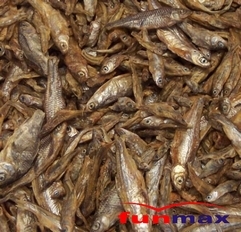 Dried fish make a healthy snack. Fish always provides a welcome and healthy variation. These saltwater fish come from China and make an ideal treat for your animal. Sun Dried Daphnia is great for all tropical and marine fish, soft corals and anemones. It is excellent for use during medicating as a delivery agent and after as an intestinal cleanser that is free of parasites and harmful bacteria. Enriched with multi-vitamins to reduce stress and stress related illness. The drying process maintains original nutrition, flavor and texture previously only available with live daphnia. Oxygen absorbers and nitrogen charging significantly reduce oxidation. Quickly softens when put in water.